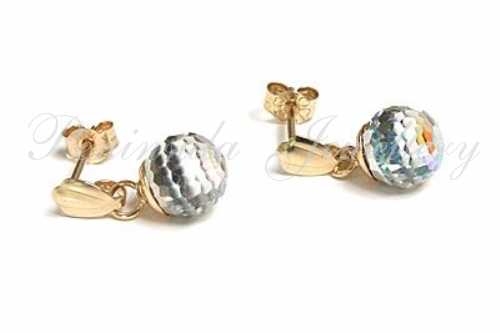 Multi facetted AB Crystal ball drop earrings with solid 9ct gold fittings. 6mm diameter ball, 12mm drop. Supplied in a luxury gift box. Made in England. Supplied in a luxury Gift box.